SPOTTED ON THE STREET! 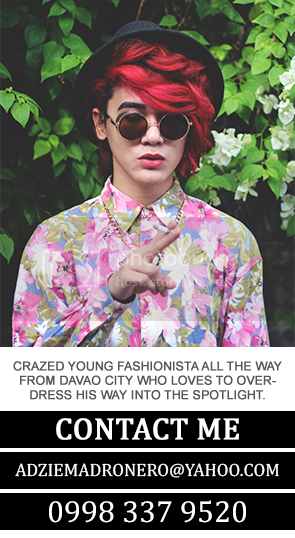 Outfit featured in Zee Lifestyle on their issue last August. 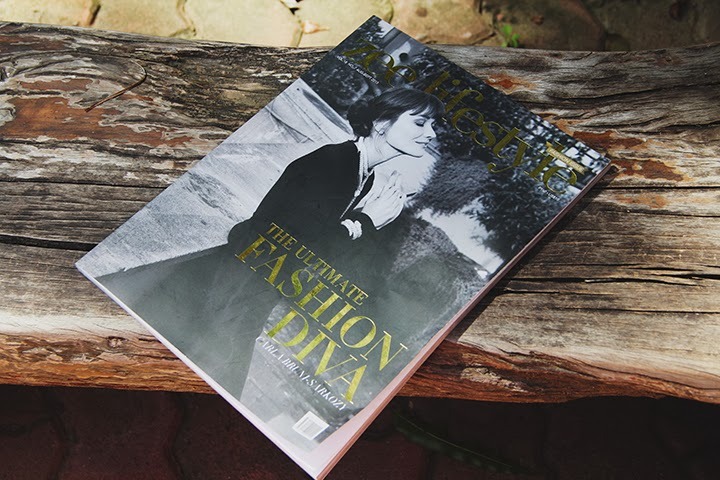 I rushed into the nearest National Book Store after The Young Blood Aidx Paredes told me that my face is in Zee Lifestyle on their fashion issue. But of course I was overwhelmed by the idea being in a renowned magazine in the city, not to mention that it is also published nationwide. So to continue the story, yes I bought a copy and starting that day I really can't stop looking at my face at page 148. Hahaha! Got even the page number stuck in my mind! 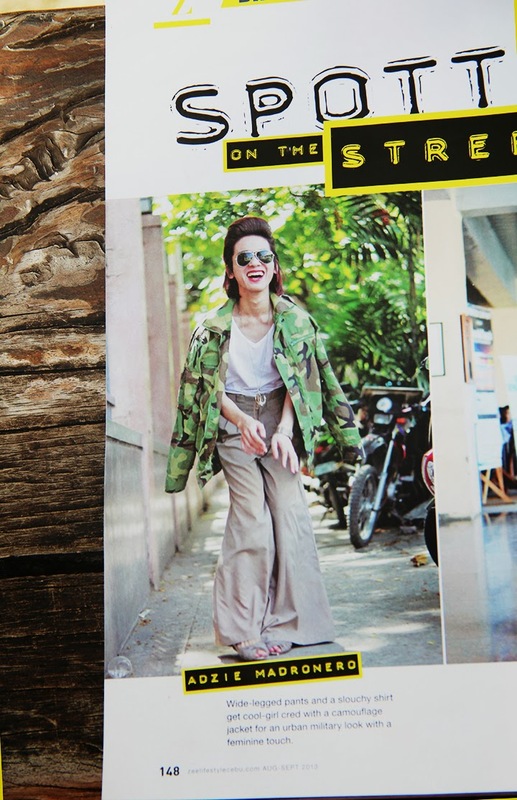 I really have to thank Lieu Online Magazine for this once in a lifetime opportunity! 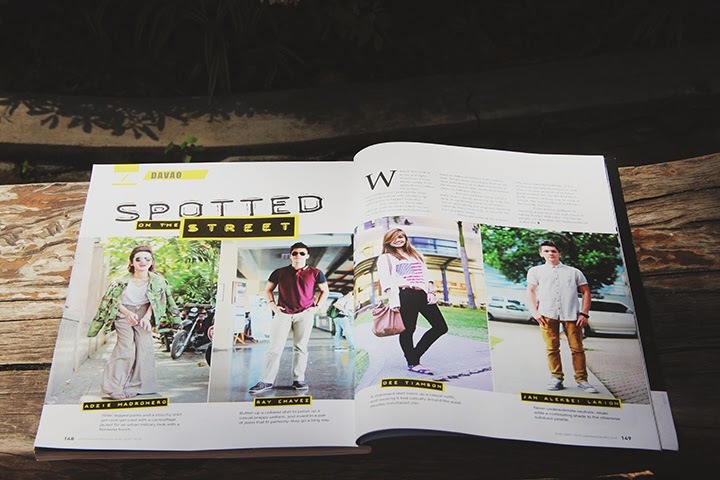 My outfit was actually featured because of their article in the magazine about the evolution of street-style in Davao City and now they're actually making it big taking photos of people wearing clothes that surely hits the spotlight. Hopefully I'll have more of this opportunity soon. It's truly overwhelming. It may not be that big of a deal for everyone, but for me, it truly is a dream come true!